Today we talk about four icons in the history of eyewear, revisited in a modern key with a truly unique color: Honey. 4 icons, 4 styles, 4 glasses that made history. They all come back together, in a limited edition in a shade capable of warming up their eternal and authentic forms. The star of this article is the famous Persol 649 one of the most exclusive models of the Italian brand. Do you remember it on Marcello Mastroianni's face in the unforgettable Italian Divorce? Here it is in all its splendor the 649 honey color! A contemporary bathroom for these models, in which the vintage style remains intact but accompanies this innovative color. Look at the result of this mashup on the 3152s. Beautiful, doesn’t it? This is a limited edition and this means that you won't have much time to grab these little jewels! Don’t you find it gourgeos? If, instead, you want to be enchanted by the most classic charm of this brand, we recommend a special collection: Galleria ‘900. Italian design, craftsmanship and the excellent quality of materials and workmanship are all in these glasses. Inspired by the essential and refined design of the 1940s, the Galleria '900 collection has light and comfortable frames, enhanced by original acetates that reflect the style of the era, characterized by reduced proportions and thinned profiles. The arms with the Meflecto system have a particular profile and the bridge comes in the characteristic key shape. On Otticanet you can find five other models of the Galleria Collection '900, two sunglasses and three eyeglasses. We have selected one: we recommend the 3171S in Terra di Siena with blue lenses, a unique and inimitable model. 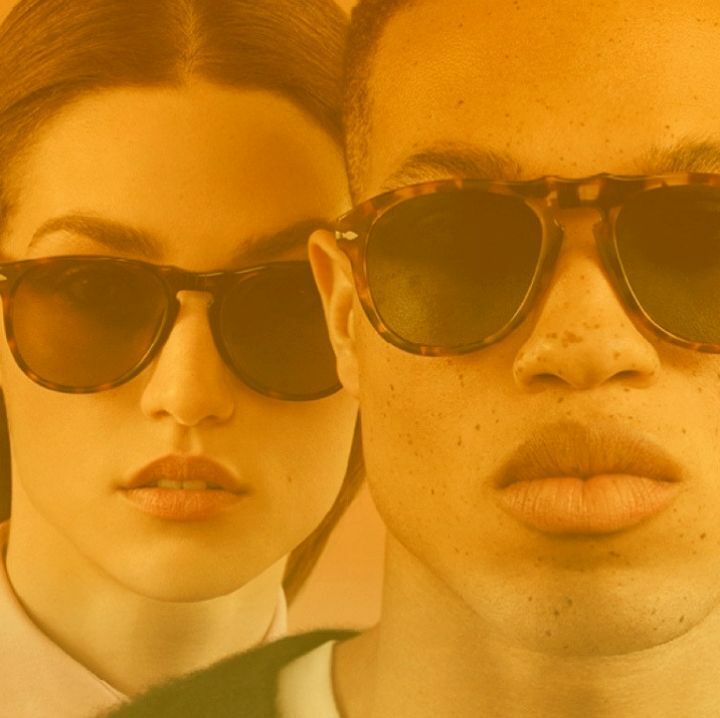 Don't miss the Persol Honey Limited Edition and the other styles of the Galleria Collection ‘900! You can find them all on Otticanet!